The first wgc/the landing residency is history though the dance is still in progress! Collette was here this past week. We’ve completed a draft of her solo, working in two different spaces. I have images to share from both. 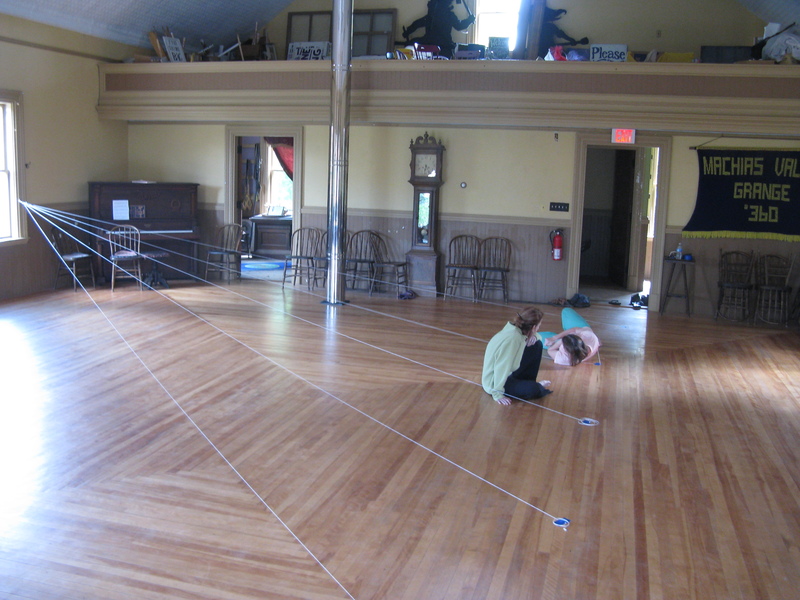 These first photos were taken in the Machias Valley Grange Hall ballroom – it’s on the second floor of the structure and it’s a sprung dance floor! The space is owned, maintained, and made available to the community by the Beehive Design Collective. 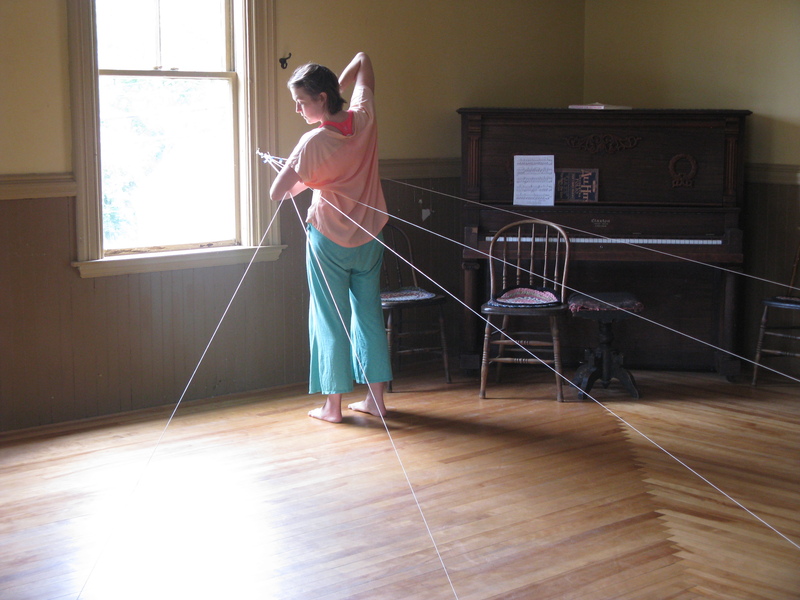 This work, like the work Ying and I made, is designed delineate the space the soloist inhabits in a particular way. Perhaps some day the two solos will be performed in the same concert.